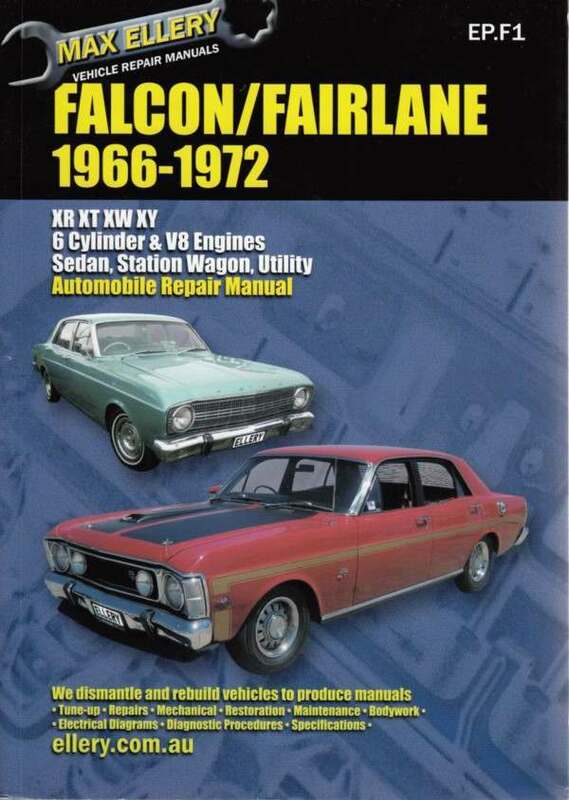 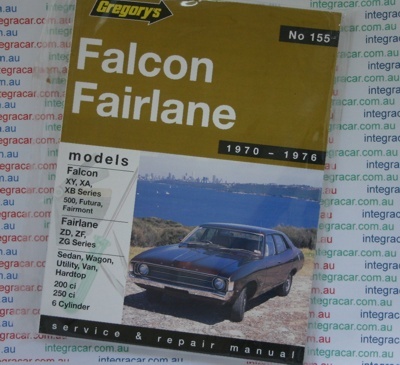 This repair manual covers six-cylinder Ford Falcon XY, XA, XB Series, 500, Futura & Fairmont plus Ford Fairlane ZD, ZF and ZG Series. Sedan, Wagon, Utility, Van & Hardtop are covered. 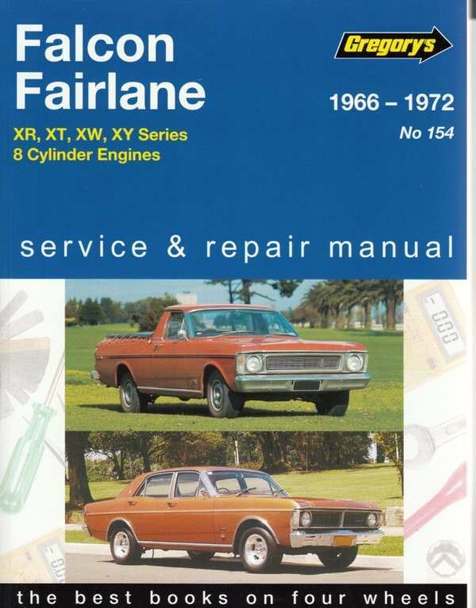 It includes all 200 and 250 cubic inch 6-cylinder engines produced from 1970 to 1976. 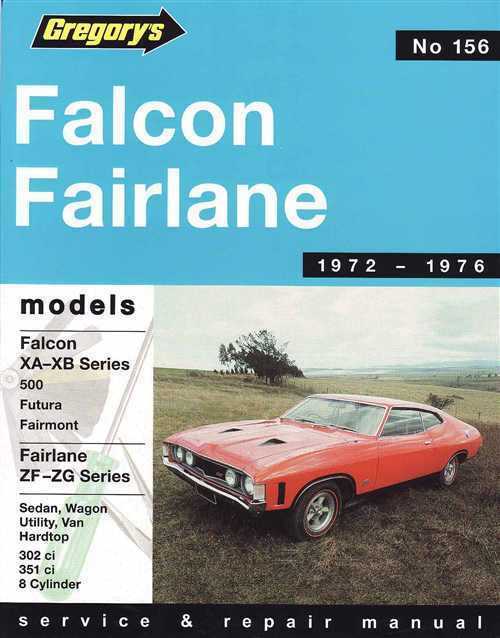 The XY Falcon range featured eight passenger vehicles and three commercial models.